Staging The Dance showcases original works created by students. The research spans diverse areas such as Greek Mythology to the science of sleep with many other focus areas. 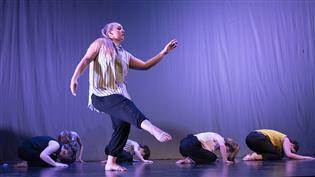 All performances are danced, choreographed and staged by students in a celebration of artistic skill.